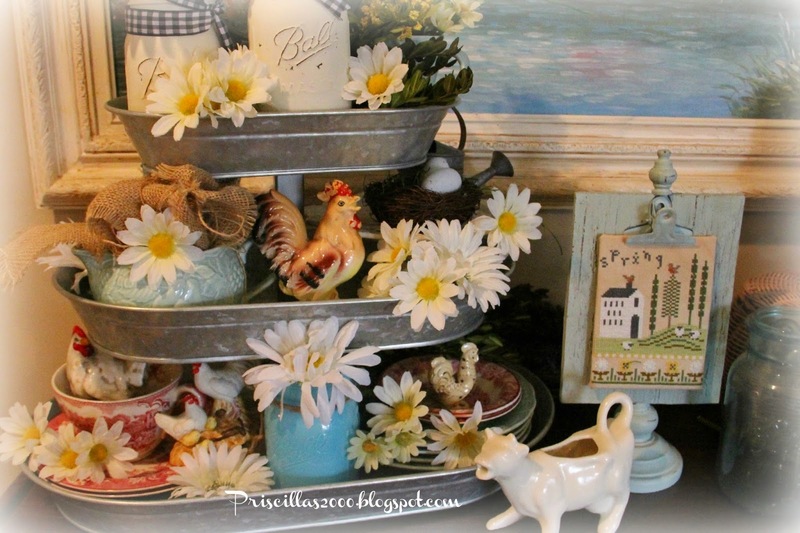 Priscillas: My Love For Tiered Trays ! Thanks so much for showing this!! If our Sam's does not have it ( sending Joe there tomorrow) then i will order it on line too!! You know how much I loved yours!! we have finally had some Spring weather here!! 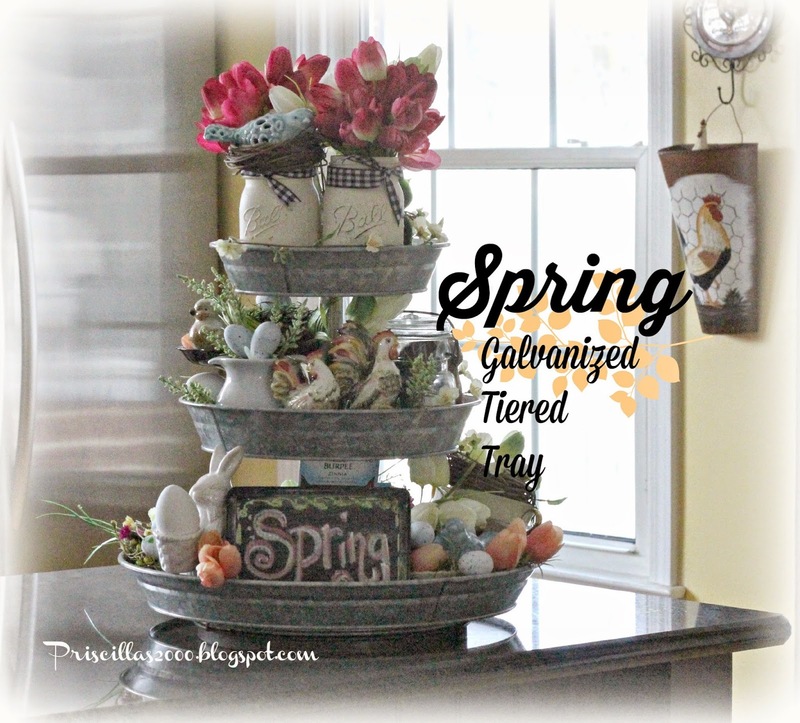 I have wanted one of those tiered galvanized trays forever! You do such a wonderful job decorating those trays! 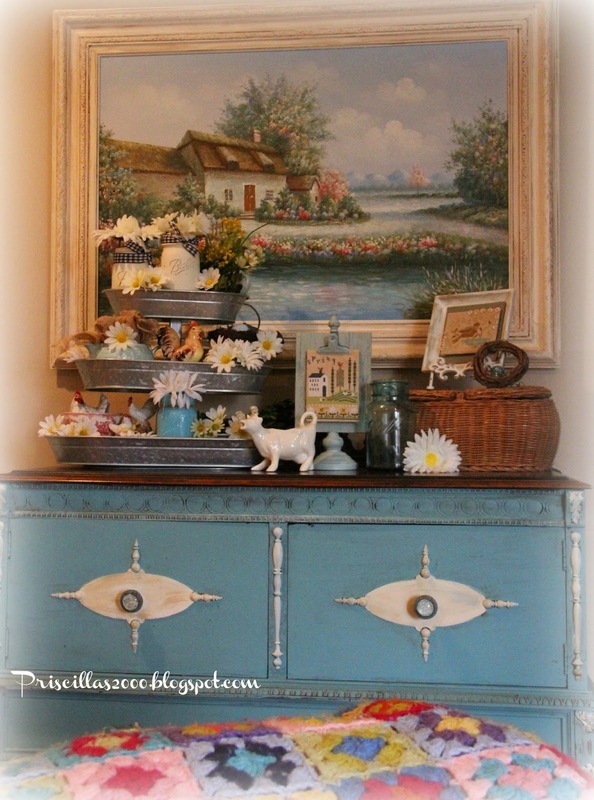 Love that tiered galvanized tray!! Hope our Sam Club has them. Love it! Great job! Going to get one if I can find it! Love that Aqua clipboard! Did you make it? We don't have a SAMs club here. Love to see what you do with the trays. I have the round one and today I ordered the new one from Sams club. Oh Priscilla, I may just have to rustle up one of these. lol! 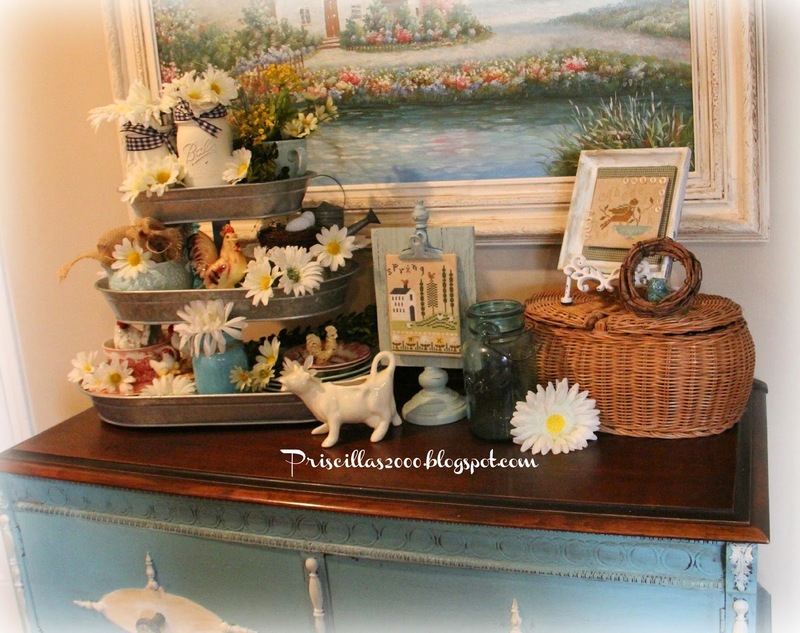 I love your painted buffet and the tray looks wonderful there! I have a few pie birds and hope to grow my collection. A rooster is fun. Thanks for sharing with SYC. Okay. So, THANKS for the new obsession! Love it and appreciate your sharing where you got it. 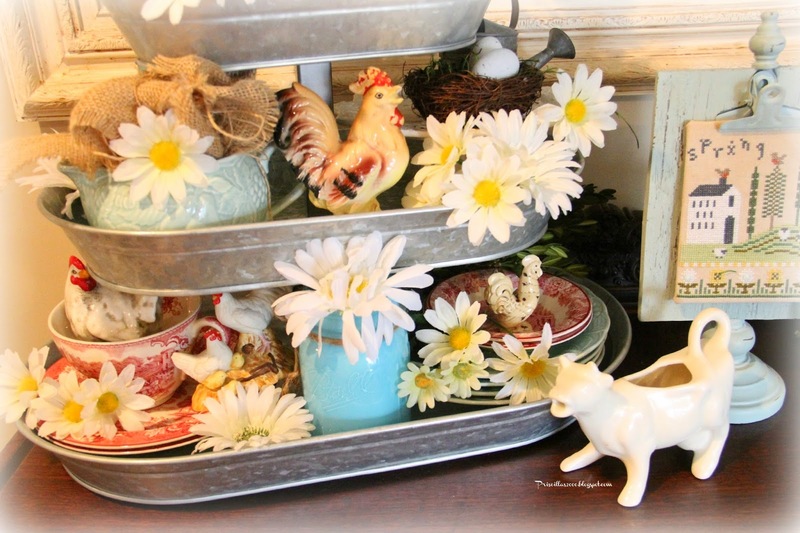 I love the way you design vignettes with your tiered trays. 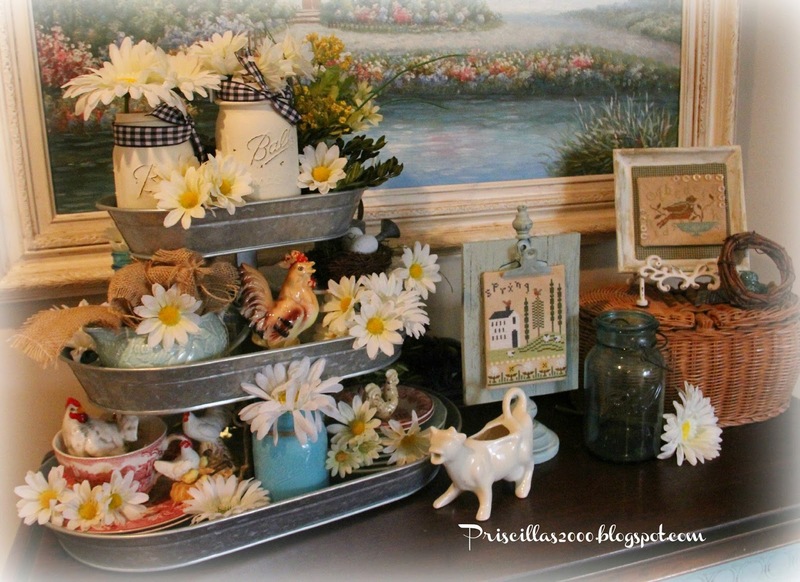 So I opened a board on Pinterest titled "Tiered Trays" and pinned your two shown on this post as my first entries. You really have a gift for decorating them. 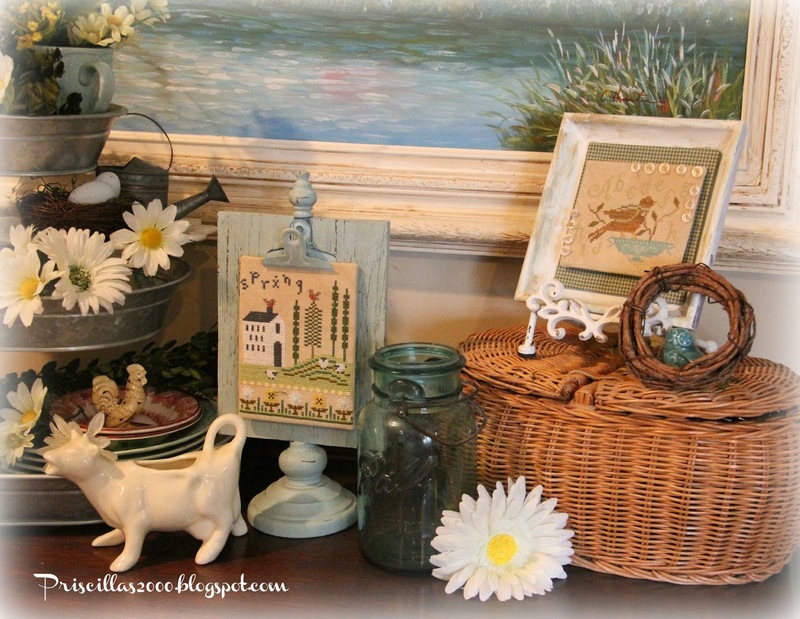 Saw your feature at Brenda's Cozy Little House - congrats!